Utilizing your skills in writing, tutoring, and crafting is a great way to start your internet home based business. Internet home based business opportunities are a convenient way to work from home and make decent income. By starting your own business (using one of the many small business opportunities available online), you can work from home and earn money as a sole proprietor, while spending time with your family. If you're looking for some Internet business opportunities, try any of these ideas. Writing is a good start-up business because it doesn't require any real investment to begin; all you need is some writing skill and a computer. Equipped with these two things, you can either write articles and the like for clients, or publish your own work. There are advantages and disadvantages to both. If you write for clients, you have more of a guarantee to receive pay for each project you complete. However, you will usually not retain the rights to your work in any way except for use in a portfolio. (Note that being a freelance writer for clients is not technically a business, but assembling a team of writers who work under you is.) If you choose to write for clients, you can find writing opportunities on sites like iFreelance.com and FreelanceWritingGigs.com. With luck and good writing samples, you can find steady work writing for large projects. If you write for yourself, you can put your name on your work and have a sort of self-publishing business. The downside is that you are never guaranteed to receive pay, and you also must do all the promotion work yourself or else hire someone else to promote you. A related business to writing is editing. If you are good at finding and fixing errors, you may be able to earn money by correcting other peoples' writing. The same sites as mentioned earlier are good places to begin finding work. If you are gifted at teaching and have a good knowledge of Math, English or some other subject, you can open an online tutoring business. Although tutoring is traditionally done in person, you can make yourself available to answer email queries and provide personalized instruction with the use of a webcam or online "whiteboard" application. The disadvantage to online tutoring is that many free online resources are available, so you might have a difficult time finding clients. Advertising within your local schools may help you find students to tutor online. If you enjoy working with your hands, whether it be sewing, jewelry making or anything in between, you can open your own crafting business. 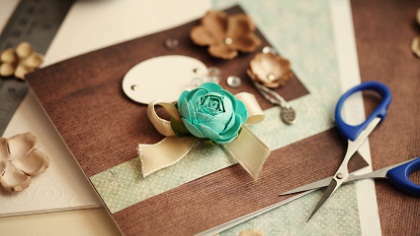 Making items in your home and selling them though the Internet can be a fun and fulfilling way to express your creativity. Websites such as eBay and Etsy will allow you to sell your handmade items. These are only a few of the many home business opportunities available to you through the Internet. With a talent that can be put to use from home, you can create a business and begin earning money from home.